The Spinners kept this game close until midway through the third quarter, where DC pulled away with some unforced and forced Philly turnovers. There was plenty of action, layouts on offense and defense, and some fun mixed in there too. Catch all the Highlights from me, Kevin Leclaire, and Pete Guion! 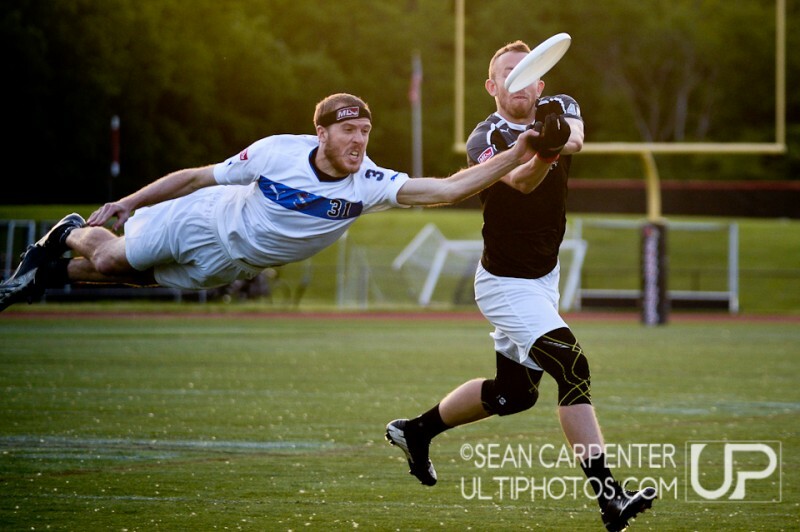 Washington, DC: Patrick Lindsey (Philadelphia Spinners #31) defends a pass intended for Jeff Wodatch (DC Current #45) at the Major League Ultimate game between the Washington DC Current and the Philadelphia Spinners, Saturday May 31, 2014. Remember, every purchase helps us continue to provide world-class support for this great sport. Images start at just a measly $3!